When writing these posts I’ve not generally tried to give them a specific sense of place – their place is the sea, the whole sea. But most of the photos seen on this site were taken in a couple of marine parks and reserves in New South Wales (NSW), Australia, and a great many of them were taken in one small reserve on the edge of Sydney, in Manly, called Cabbage Tree Bay. I remember a little of what that place was like before it was made into an aquatic reserve. It was an attractive bit of coast with nothing special in the water. A few spearfishers wandered up and down, and the water was pretty empty. A bit over ten years ago, it was made into a reserve with no fishing or collecting of any kind allowed. Before long it became a magical place. This is where most of the Giant Cuttlefish featured on this site live, and it’s teeming with fish of all sizes and colors. Eccentric companionship is provided by the huge Blue Gropers who wander along the reefs that the spearfishers used to clean out. 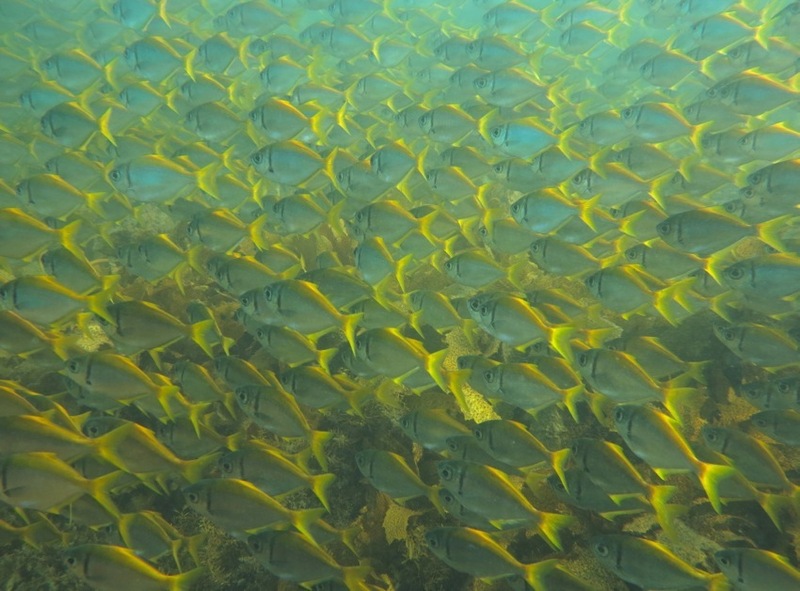 These fish are inquisitive and friendly. If you don’t have scuba tanks on (hence no bubbles) they come peering in close to your face, and do ungainly dances through your legs. If you’re under a ledge watching a Giant Cuttlefish, they often come in to see what’s going on. Given all this, it was dismaying to come back to the site today and learn that the NSW State Government has temporarily lifted the ban on fishing from the shore in almost all marine sanctuaries in the state. No one is fishing at Cabbage Tree Bay yet, and some of the literature I’ve seen suggests this particular site is still off-limits for now. But this change in policy is a huge step backwards for the state. Only a tiny fraction of the coast had been made off-limits to all fishing, and these areas have become different in the water from anywhere else. Why has this happened? Why would the state government want to do such a thing? Part of it involves the intricacies of NSW state politics. Because of the voting system, one of the two chambers of the state government (the ‘upper’ house) often contains a few representatives from very small parties focused on one issue. The party in charge in the main ‘lower’ house may need support from one or more of these smaller parties to get things done. In the present parliament the ‘Liberal’ party runs the lower house, but does not quite have a majority in the other, and in that house are two representatives of the ‘Shooters and Fishers Party.’ You can guess their agenda from the name (and to be fair, in the US they would probably be called the ‘Patriotic Wildlife Protection Party’ – some credit is due for honesty). The state government has made a series of awful compromises with the Shooters and Fishers. What is important now, while the final decisions about marine parks are still being worked out, is to make it clear that if our few tiny sanctuary areas are cleared out by fishermen, Barry O’Farrell’s state goverment will be remembered as a destructive body that wrecked some rare and beautiful places that are valuable to the state in a host of ways. It also needs to be clear that this policy will have costs for the Liberal party in the present. This blog now has readers from many countries round the world. If you think protecting sanctuary areas is important, it would be great if some of you could write to the state government here, and tell them what you think. I doubt that they’re expecting international attention on this, and it might make quite a difference. If you’re an Australian reader, please write too. Premier Barry O’Farrell’s website and contact information are here, and the Environment Minister, Robyn Parker, has her website here. Notes: “Blue Gropers” are not really Gropers, but Wrasses (Achoerodus viridis). I’ve never met a friendlier fish. A famous individual named “Bluey” was speared in 2002 at another beach, Clovelly. The NSW premier at that time, and later the Australian Foreign Minister, was Bob Carr. 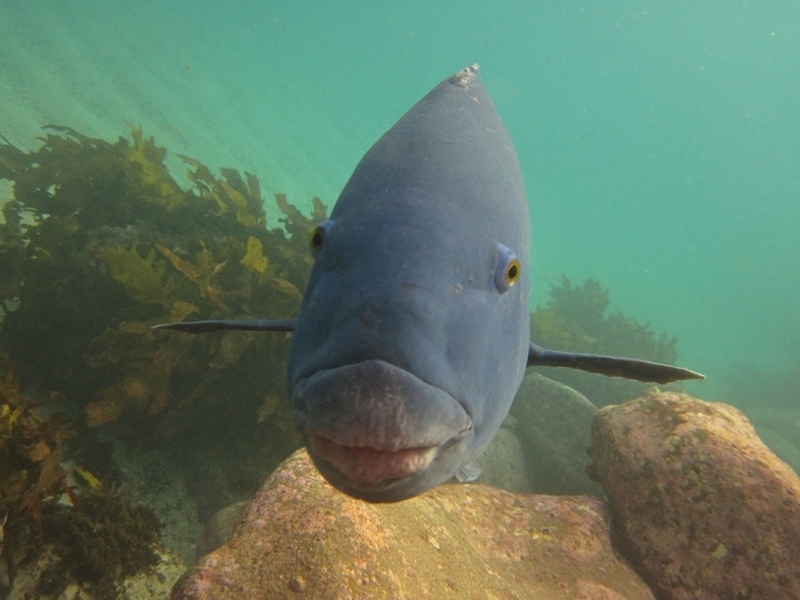 He called the unknown killer “a mongrel,” and said of the fish: “I have swum with him… he was a friend of mine.” This incident may have had some role in the creation of Cabbage Tree Bay aquatic reserve, which certainly has many Blue Gropers. This species remains legally protected, but there is no way a line cast from shore can discriminate this fish from others. 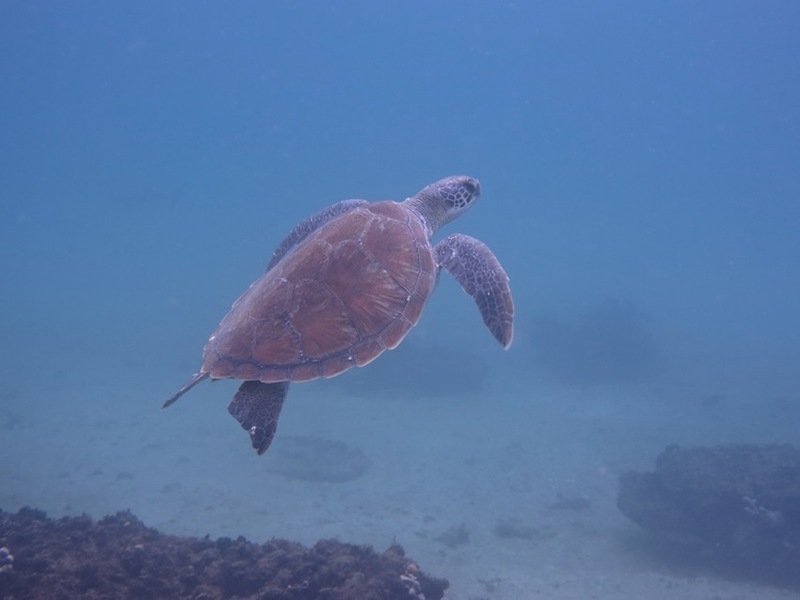 Updates: the Australian Marine Conservation Society has a petition site about the sanctuaries here. Letters to the NSW Premier are being redirected, it seems, to the Minister for Primary Industry, Katrina Hodgkinson. (Her email: office@hodgkinson.minister.nsw.gov.au.) It doesn’t seem ideal to have the Department of Primary Industry in charge of decisions about marine sanctuaries.